When you're on holiday with your mates it's easy to get carried away. Alcohol is flowing and the sun seems to affect us Brits more than most. One of the funnier and less messy decisions to make on holiday might come in the form of a henna tattoo. 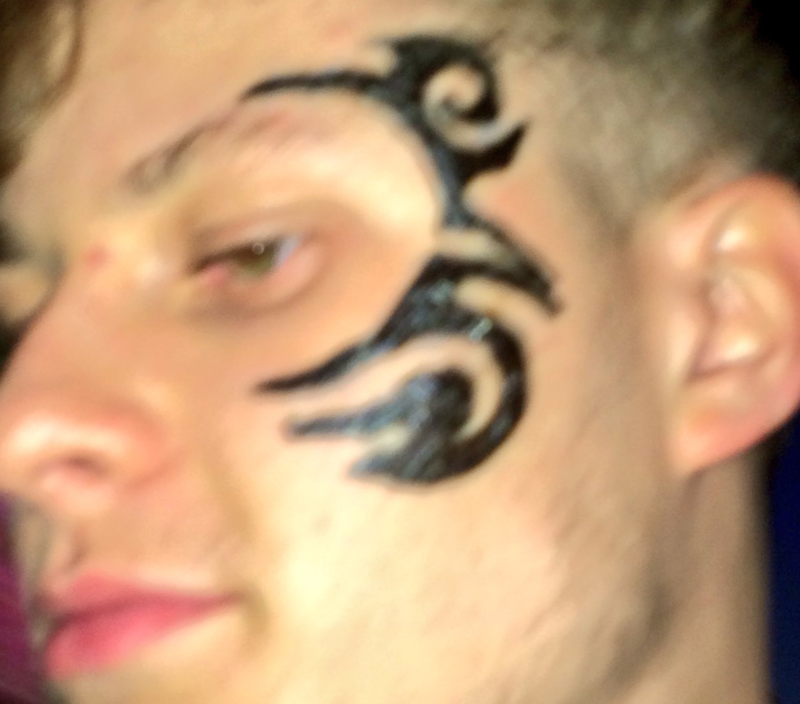 At least that's what James Colley thought when he decided to jokingly get a Mike Tyson design on his face. 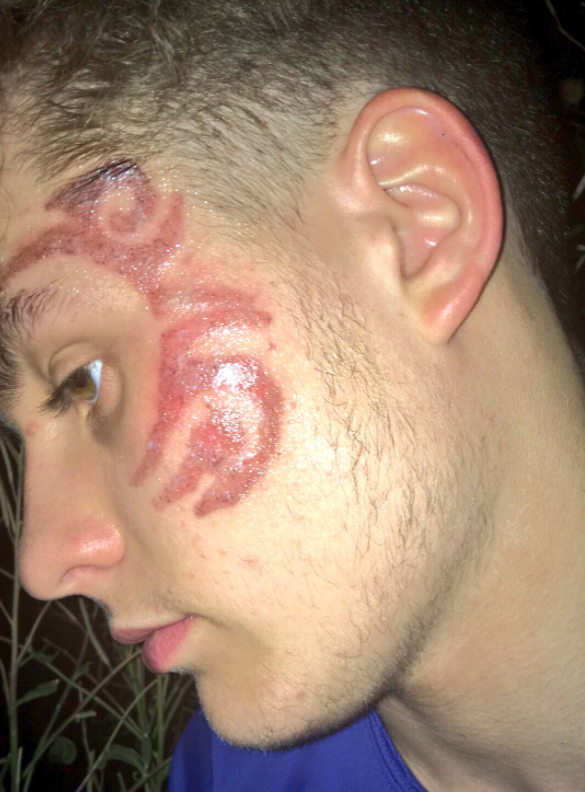 However, what he thought was a temporary thing turned out to be anything but, as the supposedly wash-off tattoo left a scar that could last up to five years. The henna used contained p-paraphenylenediamine (PPD for short) and is known as 'black henna', which is much more dangerous than the brownish red version normally used. It's not uncommon for this type of dye to cause an allergic reaction, which is exactly what it did to James. The 18-year-old from Cardiff was holidaying on the Greek island of Zakynthos, and has now made his Twitter account private after over 14,000 reactions to his photos. Well, we hope it won't take that long to heal, and his boss will understand the mistake. Hey, it could be worse - it could be a real tattoo.